Subcontractors have the most advanced knowledge about their scope of work, so make sure that knowledge is being utilized in the project schedule. Grit puts the power back in your hands, and takes away the annoyance of being force-fed a schedule. Make your voice heard. Your expertise will help to identify dependencies and bottlenecks that a master planner would miss. No more “parking-lot meetings” after the meeting to ensure everything is taken into consideration. 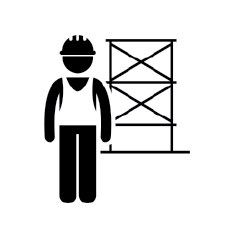 Have you ever mobilized and been blocked by another subcontractor’s work? (That NEVER happens, right?) You’ll always have the most up-to-date information regarding how your work interacts with all other trades ensuring you have a productive amount of work available to your workforce. You’ll always be one step ahead of any roadblocks, as Grit will notify you of any plan deviations and automatically calculate contingencies around them. Automatic 1-week, 3-week, and 6-week look-aheads for Make Ready operations.